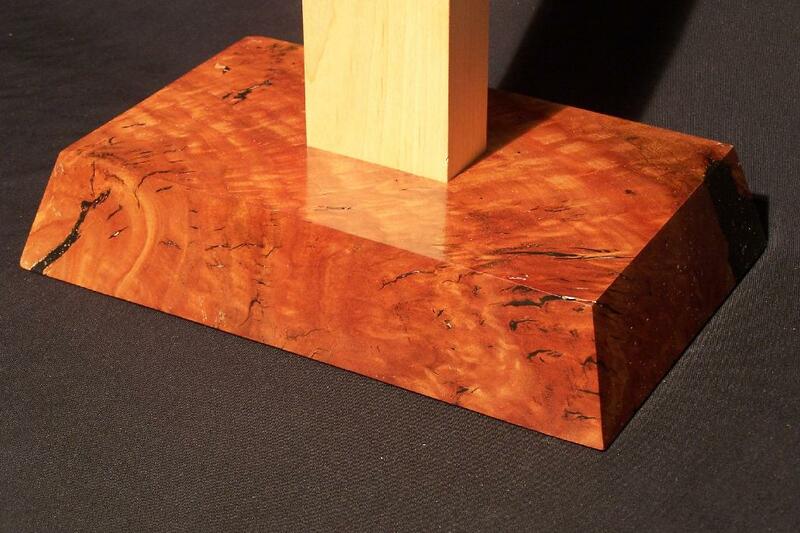 Other Names: Jarrah, Australian mahogany. 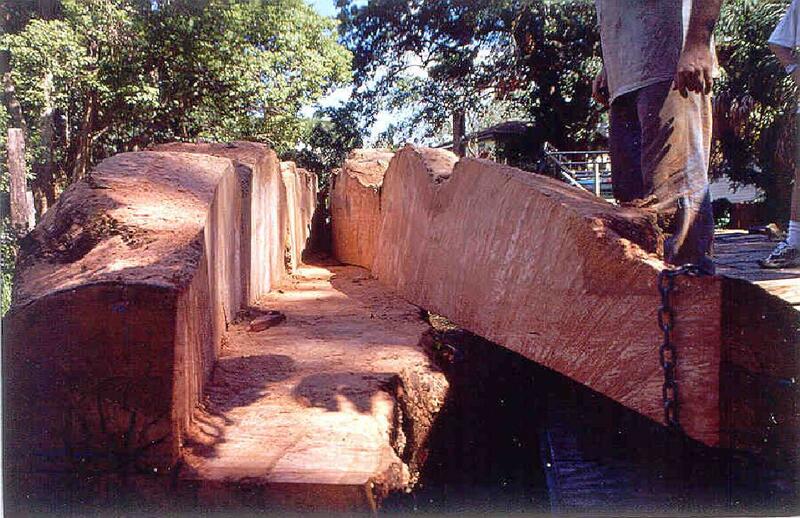 Jarrah reaches a height of 100 to 150 feet with a diameter of 3 to 5 feet. 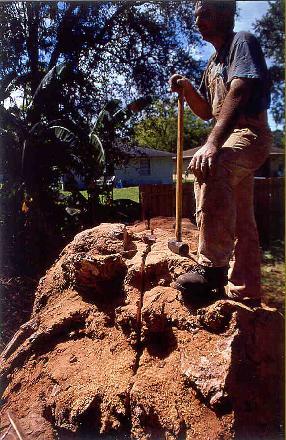 Jarrah is one member of the great Australian family of Eucalyptus and is one of the most important species of Australia. 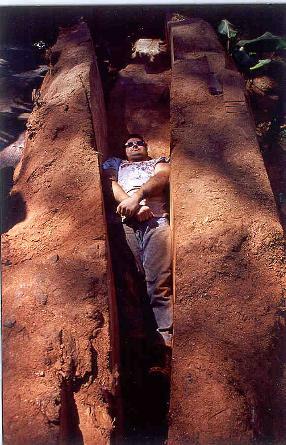 (Information from A Guide to Useful Woods of the World, second edition. Flynn & Holder. 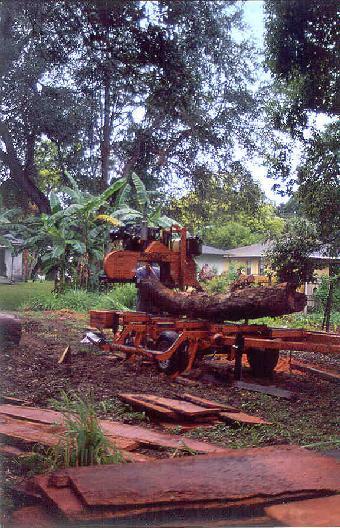 Copyright 2001 by the Forest Products Society, Madison, WI. The story goes that the guy who lived there & who ran the ad in the paper moved to the house in 1948 after WWII . . . At that time, the Air Force made him cut the top of the tree off because it was interfering with the landing flight patterns of the planes landing at MacDill Air Force Base!! - that was 55 years ago! -This tree I suspect is probably over 300 years old!!!!! Amazing . . . just look at the grain in the thing! 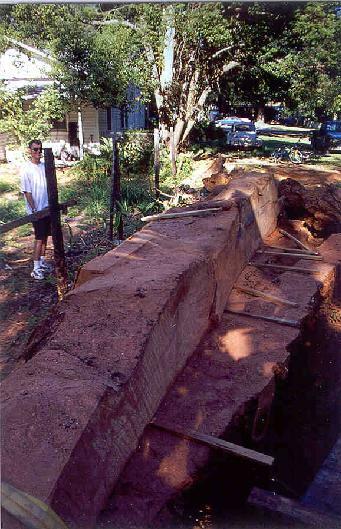 Right: These photos give you an idea of the size of the tree! - about 5.5 or 6 feet in diameter at its trunk base . . . The thing was immense! 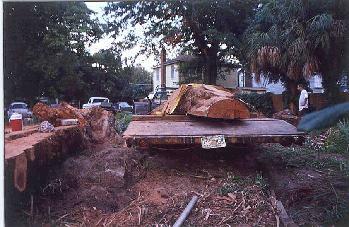 - the owner was thinking that it would make some good firewood! - what a tragedy that would have been! - an utter tragedy: - just look at the grain in this stuff! - it is amazingly beautiful! 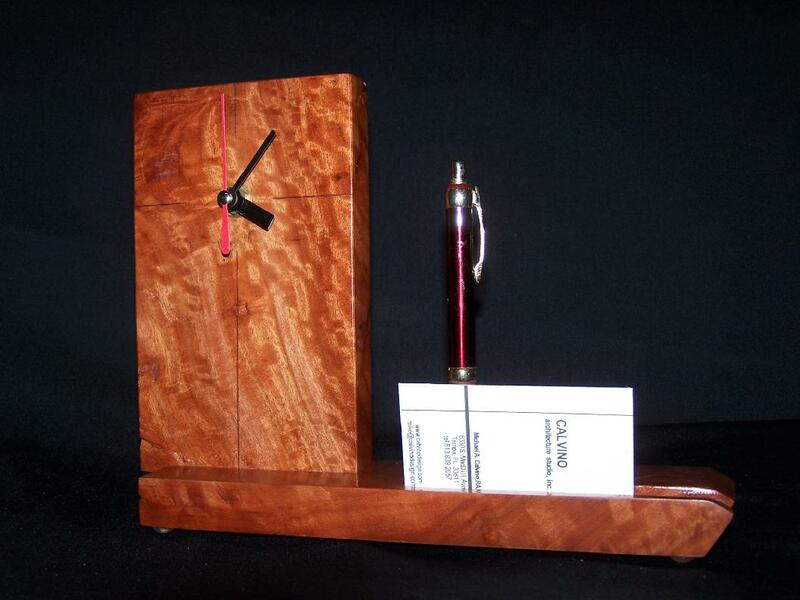 Right: A desk clock and Pen business card holder made with the Eucalyptus. This is what a good day at work will feel / look like . . . There was a layer of saw dust . . . No joke, a 1/2inch thick on my arm!--was all tired out, sweaty . . . Felt great!! 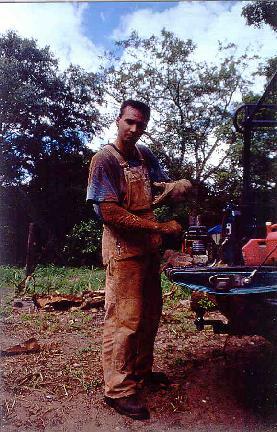 This was after about 6 hours of cutting the tree with a 3' long, 3 horsepower chainsaw . . . Would cut a person in half!! . . . The glove is a welding glove used to control vibration transfer into my arm from the big saw. 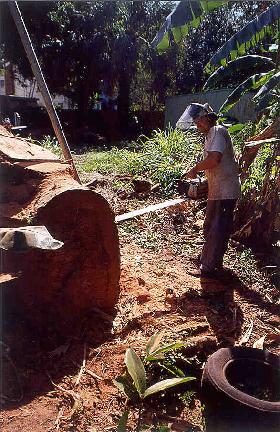 That's my brother Dave in that photo using the huge chainsaw! - that thing was huge! 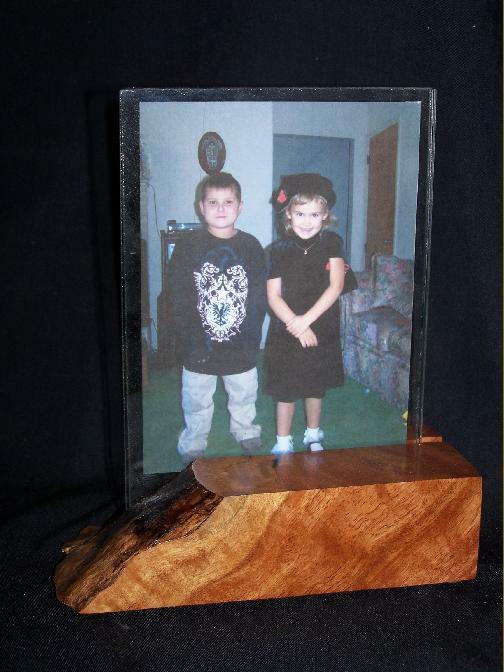 Right: photo frames made with some of the sapwood of the tree. That's my brother Dave standing next to the tree with his arm up in the air . 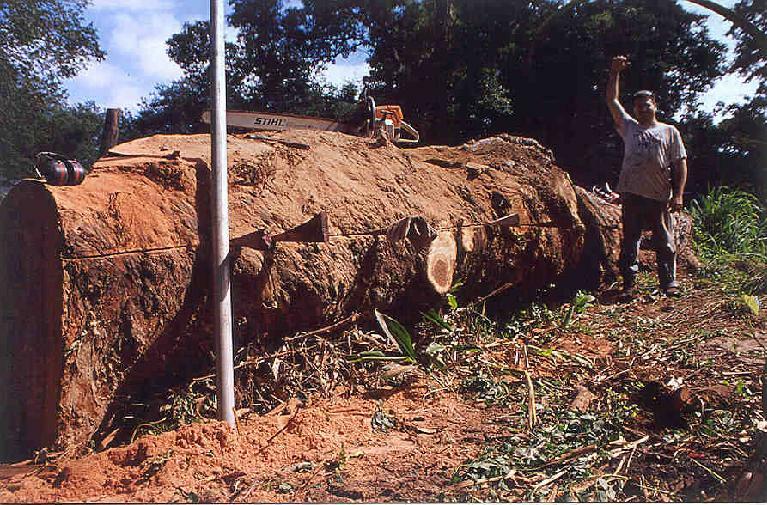 . . That was a huge tree! . 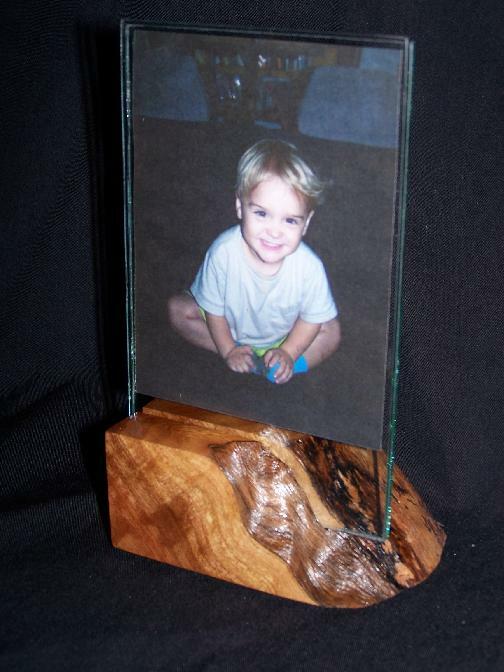 . .
You can just see the shimmer that will appear in the wood once it is planed & finished . . . 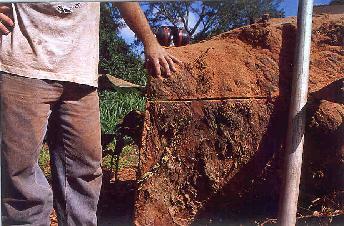 Note the change in light from light to dark & shimmer to flat in the cut edge of this huge log! . 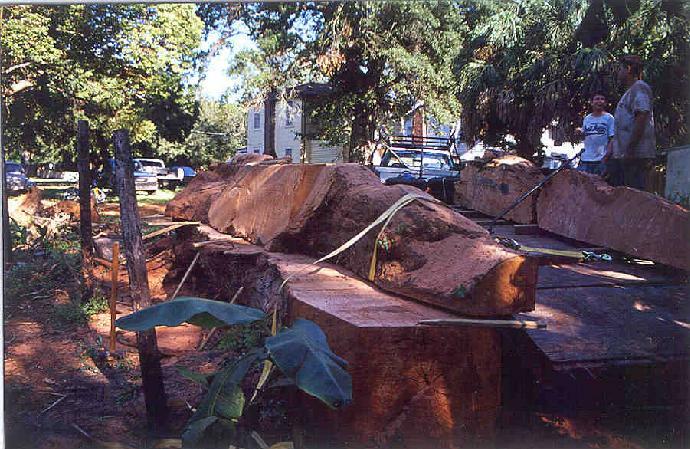 . . We figured that wet, (which this tree was) the entire log weighed in at about 26,000 pounds! - that's about 6500# for each quarter--we had to use 4000# wire rope pullers & chains to drag the quarters onto the 3 axle trailer--to move forward with this project (which was going to be expensive one could tell) one had to be able to envision what the wood could be . . . The pipe at right was safety in case the chain saw caught & kicked out of the opening--so that it would not cut one of us in half! 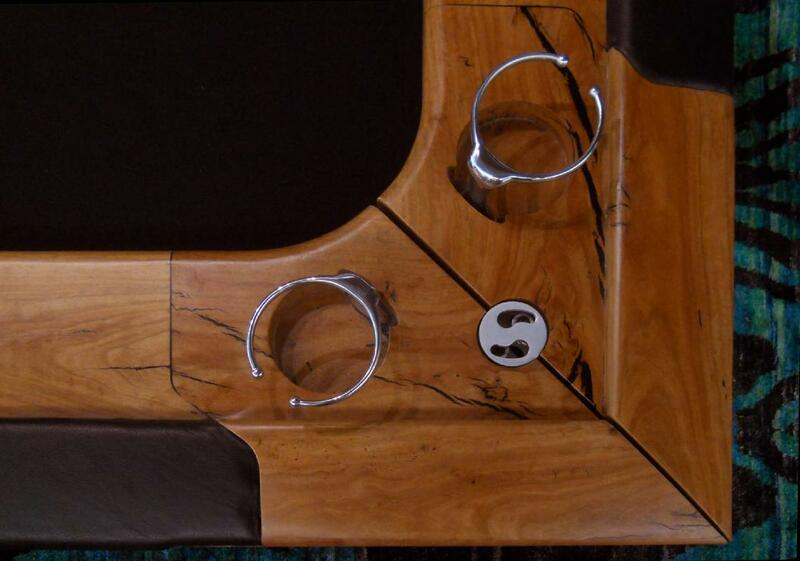 A Pool / Poker table fabricated partially with Eucalyptus burl from the tree . . . the Geared Motion Pool Table--In collaboration with Hurricane Billiards or St. Petersburg. Right: The World Youth Day Cross . . . 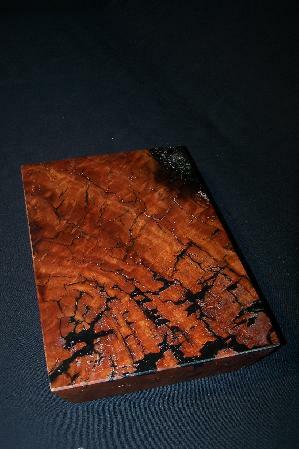 The base is made of a chunk of the Eucalyptus burl. Polished and filled. Middle: Underside of the World Youth Day Cross Base from 2011. 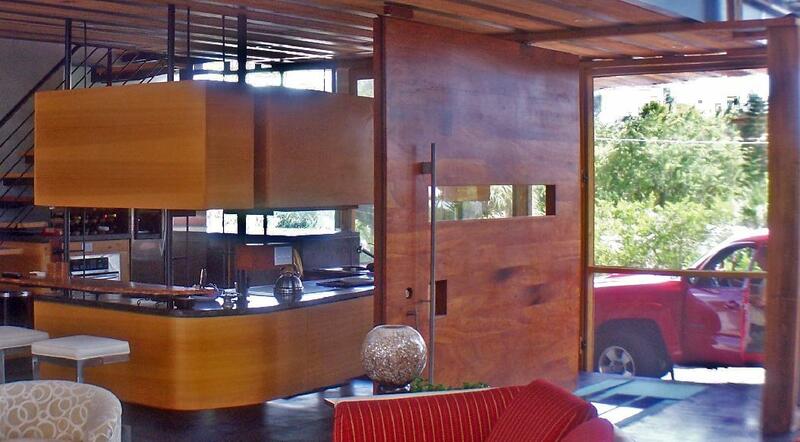 And does amazing things with found steel objects. At the end of the day--it made a great beer hall table . . . No more cutting or heavy lifting at this point of course--just imagine a pub with this as the table . . . That would be one of the coolest things! Dave Calvino, John Langley, Tom Sutton, Morgan, Mike Calvino. This officially was the first project done with the wood . 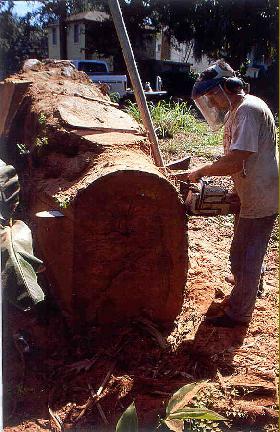 . . Also known as Austrailian Mahogany . 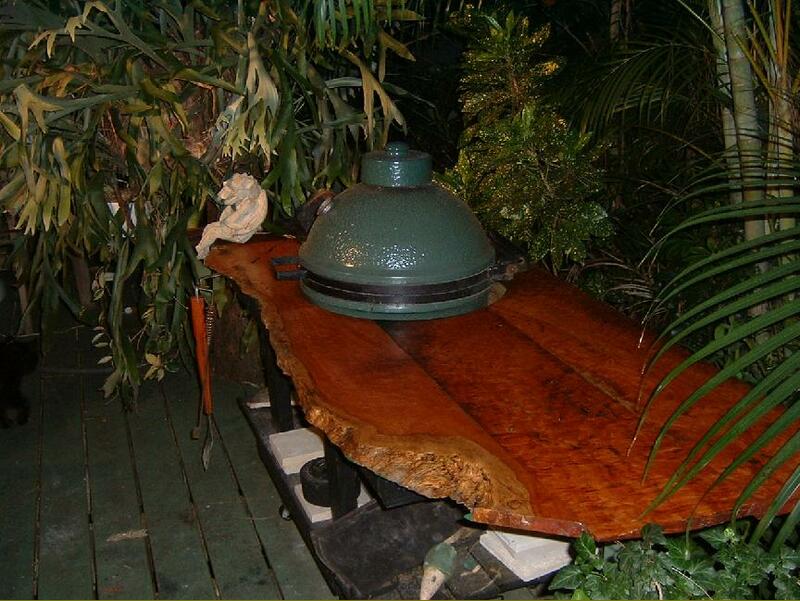 . . A grille table designed by & for Dave Fraser's Big Green Egg.